Boone County proclaimed Certified Work Ready Community – REDI | Regional Economic Development Inc. 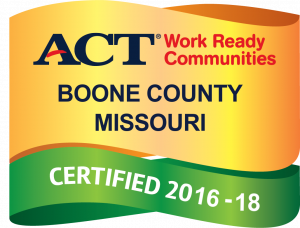 The Missouri Department of Economic Development (DED) today announced Boone County has achieved official designation as a Certified Work Ready Community (CWRC). The initiative helps communities validate the skills and knowledge of their emerging, transitioning and current workforce to the business community. Missouri’s Certified Work Ready Communities is a voluntary initiative guided by key community leaders, including local elected officials, economic development, business leaders, chambers of commerce, educators and workforce development. The initiative links workforce development to education; aligns with the economic needs of communities, regions and the state; & helps close the skills gap by matching individuals to jobs based on skill levels.